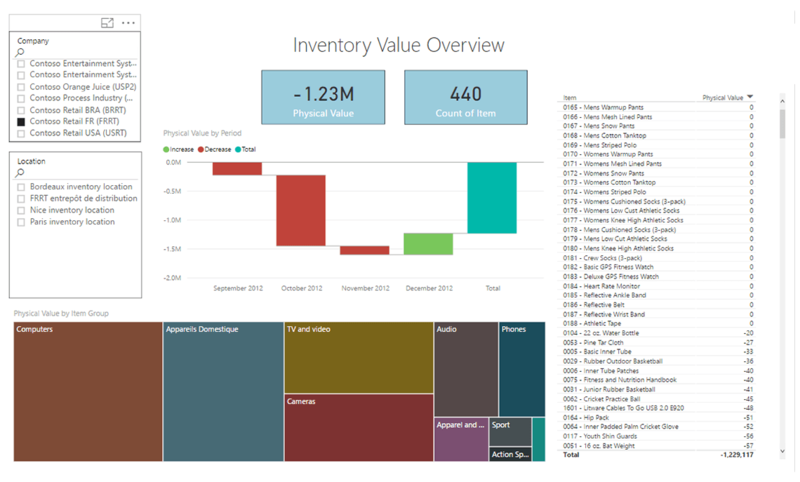 Views of inventory value change over time, top items and categories by value. Slicers can be used to filter on company and location. Uses a live connection to the data source.